Health and Safety on farms – but what about old fashioned common sense? Is common sense just not that common anymore? When it comes to health and safety and farming, many are concerned that common sense has been lost. Farmers are frustrated at the increasing pressure on them to follow confusing rules and regulations. In the past, health and safety law has primarily focussed on the person in charge of a place of work. That person takes most or all the flack when a worker does something that obviously should not have occurred. A new Act will come into force in April 2016, and under it workers will also have duties. This underlines the idea that health and safety at work is the responsibility of everyone in the workplace. However, the primary duty will still lie with the person in charge. They must ensure, as far as is reasonably practicable, the health and safety of workers while they are in a place of work. You may be aware that a key area of public debate has been that agriculture will not be classified as “high risk”, but surprisingly mini golf and worm farming may be. The effect of this is that agriculture will be excluded from the requirement to have mandatory health and safety representatives (if there are less than 20 workers). However, the person in charge will still have the duty to engage workers in health and safety. This means that workers must participate in improving health and safety practices on the farm. To achieve this, health and safety will need to be a regular item for team meetings, and worker feedback processes implemented. Farmers will need to listen to their workers, and take all hazards seriously. But what about workers? How far does their responsibility go? The new Act states that a worker must take reasonable care of their own health and safety while at work. The worker can and should refuse to do any work that they believe may cause them serious harm. The worker must also comply with all reasonable instructions given to them by the person in charge. The person in charge is required to provide an environment where workers are adequately trained, and are familiar and comfortable with health and safety requirements. These reforms will encourage worker ‘buy in’ and a common sense and active approach to identifying and managing hazards and risks. However, the person in charge will continue to carry the principal obligation to make sure that systems and training are adequate, and workers have the opportunity to provide feedback. 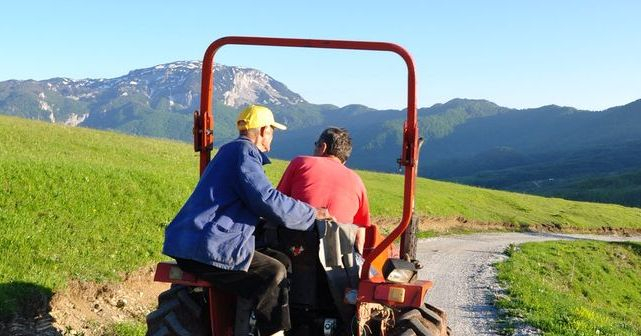 In most cases, the failure of a worker to adopt good health and safety practices on the farm is likely to be seen as the failure of the farmer. The new Act comes into force on 4 April 2016. Now is a good time to consider your obligations and your practices. Over the past few years, farmers have been criticised for practices relating to bobby calves. Covert filming and negative news items can portray farmers in a bad light. This is frustrating for those who follow best practice. Farmers generally care greatly for their stock, but the rural image suffers when the actions of the few let the industry down. The Ministry for Primary Industries has responded to the criticism by creating the Animal Welfare (Calves) Regulations 2016. These Regulations are being implemented in three stages between August 2016 – August 2017. The Regulations contain key standards for the care and transport of calves. Failure to comply may result in fines of between $500 - $25,000. It is now a farmer’s obligation to assess if a calf is ‘fit for transport’, and this needs to be re-checked just prior to collection to ensure the calf’s condition has not changed. The farmer must also record the calf’s “last feed on farm”, and provide this information to the transport operator. Once at the slaughterhouse, calves must be processed within 24 hours of the last feed on farm. So, the transport operator must advise this information to the processor. Once calves are cleared for transport, farmers need to ensure that calves are housed in a holding pen that provides shelter, water, ventilation, and is large enough for calves to stand and lie down. The holding pen also needs to be raised or have suitable ramps to allow calves to walk onto the truck without assistance. This may require a new or altered loading facility and shelter to be built at the farm. For most farmers, the new Regulations will not require significant change. However, effective communication with your transport operator, processor, and livestock agent is key to achieving good animal welfare. For advice on how the Regulations may affect you, or for any other rural legal matters, contact us at Dewhirst Law. We understand your business and provide top legal advice at country, not city, prices. Having good quality, long term, and engaged employees results in a smoother, safer and more cost-effective business. A key challenge for farm owners and managers is how to keep quality employees. Recruiting and training can be expensive and time-consuming, and disappointing if the employee leaves the job soon after completion. Employees can leave for any reason, and sometimes that is beyond an employer’s control. However, all employees are concerned about their minimum rights and entitlements. They expect their employer to know basic things like individual employment agreements, minimum wage, public holidays and annual leave. If an employer fails to address or understand these simple matters, it can place the employee in the uncomfortable position of either having to stand up for their rights, or working for less than they are entitled to. Further, if an employer is not up-to-date in implementing minimum entitlements, they risk a personal grievance, or even failing an inspection from a labour inspector. This can be costly, particularly if the employer is found in breach of health and safety. Each employee must be on a written individual employment agreement. Agreements should be in plain language and current in law. Agreements must outline the nature of the employment, the employee’s duties, their location of work, hours, salary or wage, and the way an employment problem can be solved or a personal grievance raised. A short but straightforward explanation of an employees position and entitlements ensures that there is no confusion or misunderstanding from the outset. Employers also need to understand that employees must be paid at least the minimum wage per hour worked. There are two key parts to this obligation. First, an employer must keep accurate time sheets and wage records. It is the employer’s responsibility to check that their employees are completing time sheets and receiving accurate wage records. Secondly, and employer must ensure their employee is paid at least minimum wage for each hour worked. This applies to employees who are paid by the hour, but also those on a salary. An employer should check the salary paid is at least equal to the minimum wage per hour. An employer cannot average out an employee’s hours over a season. The longest period an employer can average out an employee’s hours is a fortnight. Annual leave and public holidays are also important, and can be tricky to get right. When an employee takes annual leave, an employer needs to determine what the employee is entitled to be paid during that annual leave. The employee could be entitled to their ordinary weekly pay, or their average weekly earnings (over the previous 12 months). The employee will be entitled to the higher amount. If the employee does frequent overtime, or receives bonus payments based on performance, they may be entitled to more than their normal salary when they are on leave. When employees work on a public holiday (or an observed public holiday) then they must be paid at a rate of at least time-and-a-half of their relevant daily pay for those hours worked. They also must be offered a day-in-lieu. If an employee does not work a public holiday, but it would usually be a day of work (i.e. a day they were rostered on for), then an employer is required to pay the normal daily pay that they employee would receive. Employees expect their employer to understand these key rights and entitlements. A good employee will usually only tolerate a disorganised employer for a short time. If an employer wants to retain quality employees, then they need to understand their employees’ minimum rights. Agriculture contributes 2/3rds to New Zealand’s exports. With growing world demand, agri-business growth is assured. Your business needs to be structured to enable you to maximise growth and new business opportunities, and to protect the gains you have already made. Dewhirst Law are experts in creating clear, simple and cost-effective structures to manage your assets and your farming business. We make the process quick and easy, so you can get on with the job of farming. Tax is an important consideration. We will work with your advisor to ensure that your business structure is efficient, and maximises the benefits to you. Companies create separation of the business from your personal or trust assets. Shares can be issued to multiple owners and investors, and control can be maintained in the hands of majority shareholders. While day to day decision making lies with directors, shareholders can implement controls and limits on how the company operates. Companies create a clear line between ownership and management and can prevent family squabbles. Companies are perfect when you are managing multiple businesses or farming operations. They provide clarity, and also allow independent parties to work together. We can create a shareholders’ agreement to govern the relationship between shareholders and directors, as well as provide a constitution to give effect to those intentions. We can personalise your company to suit your business, and relationships between your key people. Trusts are often used to hold substantial property, including the farm. They can protect assets from creditors and relationship breakdowns, and keep them safe for the beneficiaries. Trusts also provide a straightforward succession vehicle for land. We can tailor a trust with your family’s circumstances in mind. Sole trading and partnerships leave the assets and decision-making in the hands of the individual farmer. They are commonly used due to their straightforward nature. However, the demands of the modern farming business, and the outside risks to the family and farm, probably mean that a tailored ownership and management structure is best for you and your assets. We would love to help. Farming is our passion too.